The season of Fall always seems to pass us by rather quickly allowing the Winter to take hold. Although it may be cold outside in Beantown, Koy’s “A Midnight Kiss” New Year’s Eve event is sure to heat up the streets of Faneuil Hall. We all know the plethora of venues available for New Year’s in Faneuil Hall but picking the right one for you and your group is essential. Many events will not only be overcrowded but over priced. 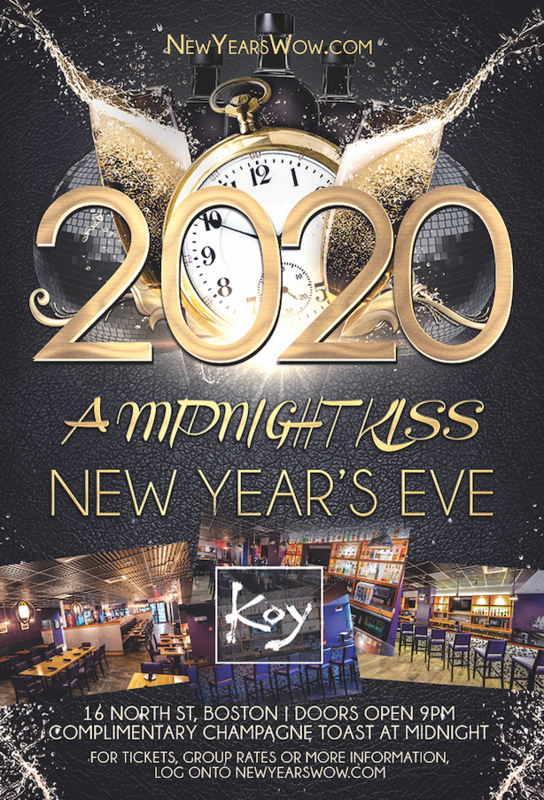 Koy is offering an affordable cash bar NYE event that gives party goers the flexibility to enjoy the midnight countdown their own way. A complimentary toast will be given to all guests during the midnight countdown to ensure we ring in the New Year properly. Now try finding a comprehensive package in Faneuil Hall this New Year’s with these types of amenities. Not only will there be a live midnight countdown, we will have two of Boston’s top rated DJ’s on the wheels of steel. Koy is one of the swankiest venues to hit the nightlife scene in Faneuil Hall, Boston. Located at 16 North St, in the center of the action, Koy has just celebrated its 5 year anniversary. Popular weekday happy hour events and a wide-variety food menu is what makes Koy Bar & Lounge a unique destination this December 31. Reminisce about the year that is about to pass us by and look to the future with hope and optimism. Can you name another joyous holiday that brings us such excitement for the future? Whether you’re attending with your special someone or a large group of friends – celebrating New Year’s Eve shouldn’t break the bank, which is exactly why the “A Midnight Kiss” NYE party is here for 2020. If you’re looking for an intimate and private setting with great live music this New Year’s, come on down to Koy and see what the Boston community has been raving about all year long. 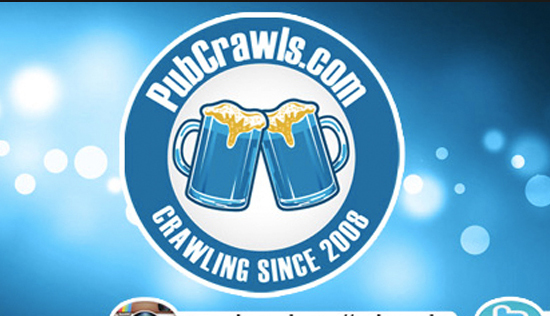 * Live Midnight New Year’s Eve Countdown with the best party crowd in Boston!